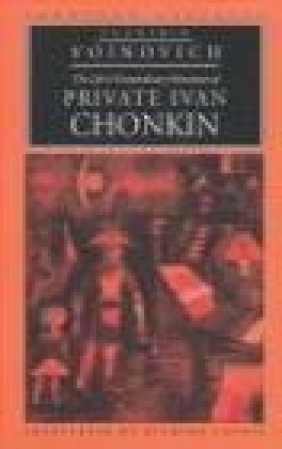 Ivan Chonkin is a simple, bumbling peasant who has been drafted into the Red Army. Shortly before the outbreak of World War II, he is sent to an obscure village with one week's ration of canned meat and orders to guard a downed plane. Apparently forgotten by his unit, Chonkin resumes his life as a peasant and passes the war peacefully tending the village postmistress's garden. Just after the German invasion, the secret police discover this mysterious soldier lurking behind the front line. Their pursuit of Chonkin and his determined resistance lead to wild skirmishes and slapstick encounters. Vladimir Voinovich's hilarious satire ridicules everything that was sacred in the Soviet Union, from agricultural reform to the Red Army to Stalin, in a refreshing combination of dissident conscience and universal humor.